The potent style and elegance of Andrew Geoghegan’s classic, enduring Cannelé design is reworked here, in the stunning Cannelé Petit. Understated but confident, this dainty adaptation keeps its powerful allure, with a choice of 0.15ct centre stones at its heart within a pristine halo of diamonds. The signature fluted detail of the setting is all the more entrancing for its scale and precision. 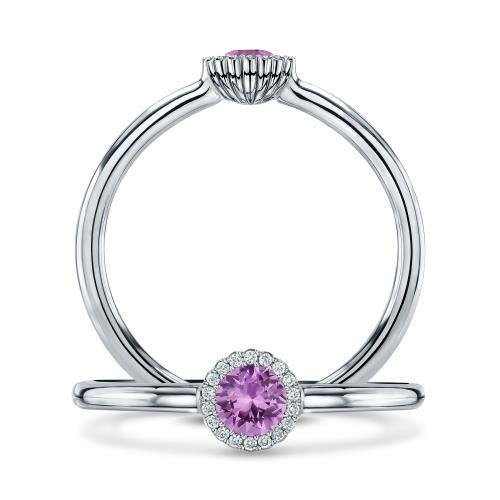 The Cannelé Petit makes a perfect ring – be it for an engagement or simply a romantic gesture. 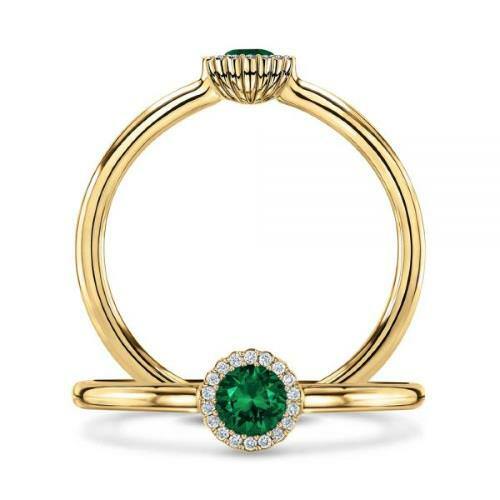 She is also the first of Andrew Geoghegan’scollections to feature emerald, one of nature’s most alluring of gemstones. The colour and lustre of the emeralds we hand select are spellbinding, as are the other coloured stones in this collection.